My primary conference give away is a DVD with a self-contained penetration testing lab. This DVD covers the Metasploit Framework‘s capability to target a server. It also covers the client-side attack process in Cobalt Strike. It’s a pretty neat set of labs and they don’t take too long to go through. I’ve had several requests to put these labs online. If you’re one of those interested parties, then today is your lucky day. The Cobalt Strike Pen Testing Lab DVD material is now available for download. Next, you’ll want to download the penetration testing lab book. 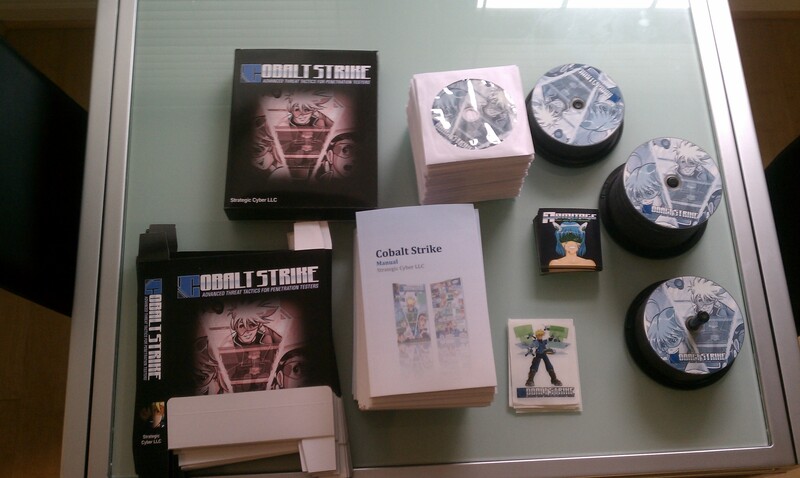 Last, you’ll need to grab a trial of Cobalt Strike and install it on the Xubuntu virtual machine above. I’m just getting everything downloaded and the vm’s are booting up- from one random stranger on the internet to another, Thank you! You are absolutely the best ! Had the best year-end break ever, just going through a LOT of your blogs and videos. The content and way you have explained it, embody your passion and zeal for both the subject matter and the kindness to share what you know and built, freely with the community. You are a legend and will be one of my heroes to look up to going forward. I would love to do this, but… the version of WINE on my lab VM isn’t capable of demonstrating many of Beacons features. I don’t think the refreshed lab (with these free targets) would be that interesting.